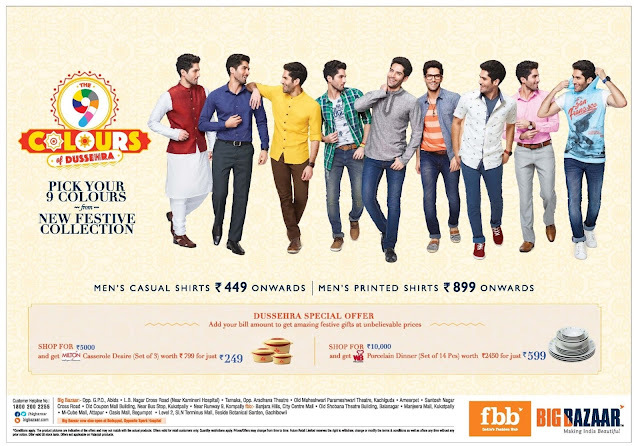 Dusshera Special offer | 9 colors of dusshera. Add your bill amount to get amazing festive gifts at unbelievable prices. Shop for Rs 5000 and get casserole Desire worth of Rs 799 for just Rs 249. Shop For Rs 10,000 and get Procelain dinner worth Rs 2450 for just Rs 599.